This badge was issued to EDSON TULLIO JUNIOR on 06 May 2015. 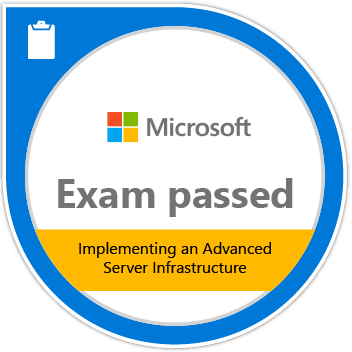 Passing Exam 414: Implementing an Advanced Server Infrastructure validates the skills and knowledge necessary to design, implement, and maintain a Windows Server 2012 infrastructure in an enterprise scaled, highly virtualized environment. 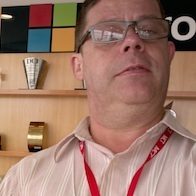 Candidates demonstrate the ability to the plan, configure, and manage the Windows Server 2012 services.